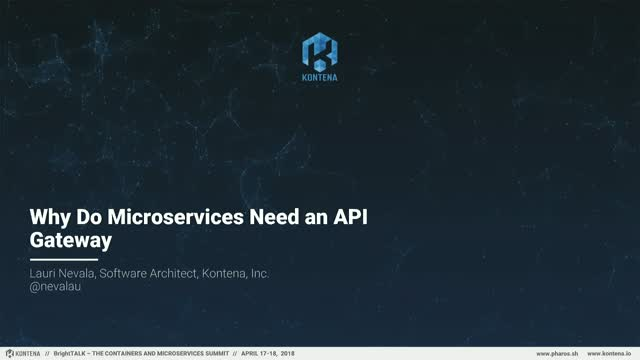 Using the microservice architectural paradigm allows you to develop a single application as a set of loosely coupled, collaborating services. Each service implements a set of narrowly related functions and communicates with lightweight mechanisms, such as a HTTP resource API. Microservices are relatively small and easier for a developer to understand. They provide better architecture for large applications and better isolation for scalability and damage control. However, they contain more moving parts and are harder to test. An API gateway provides a single, unified API entry point across one or more internal APIs. It adds an additional layer of protection to your microservices by providing protection from attack vectors. It also enables support for mixing communication protocols and decreases microservice complexity by providing authorization using API tokens, access control enforcement, and rate limiting. Title: Why do Microservices Need an API Gateway?